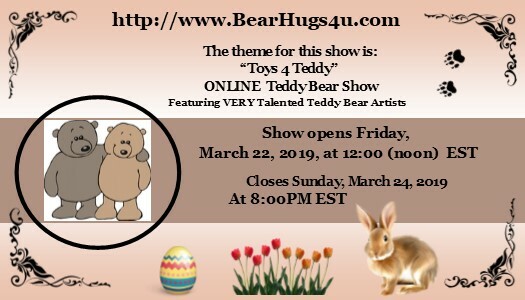 I have 5 bears and a bunny available for the BearHugs4U March 2019 online show. It’s on from March 22 – 2 US East Coast time (opens Sat 24 March at 3am AEST and finishes Monday 25 March at 11am). 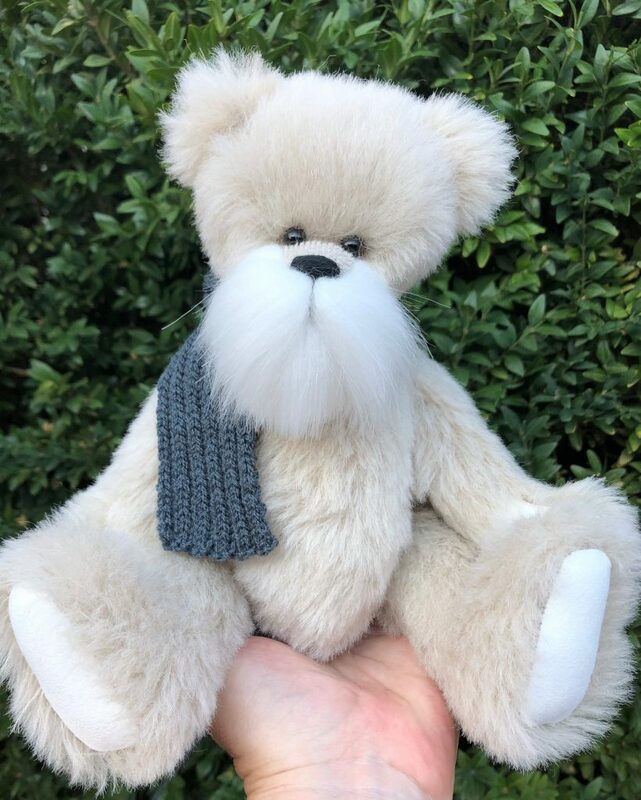 Grandpa has been handsewn from gorgeous alpaca fur with ultrasuede paws. He is wearing a mottled green wool vest and cap. 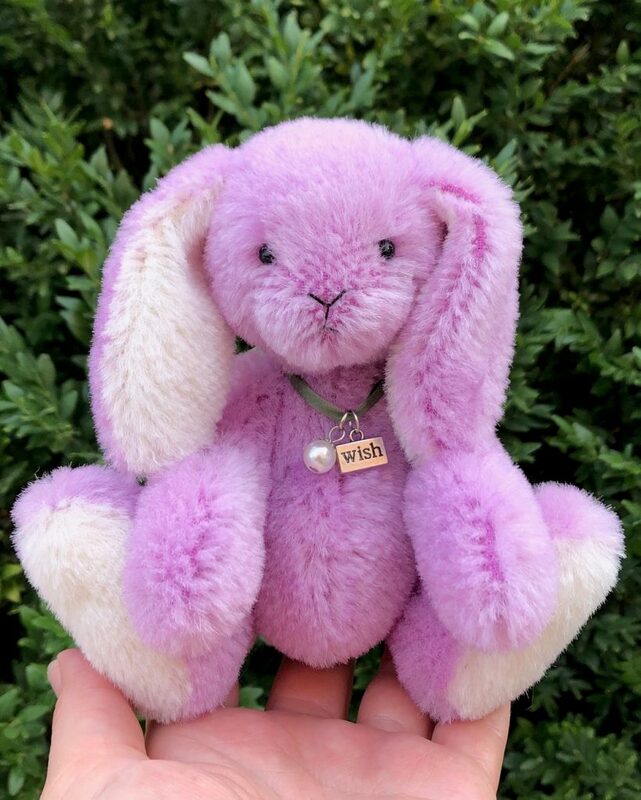 Snowy has been handsewn from plush mini-bear fur with ultrasuede paws. He is wearing a woolen scarf to match Grandpa. Handsewn from soft being alpaca fur with ultrasuede paws. 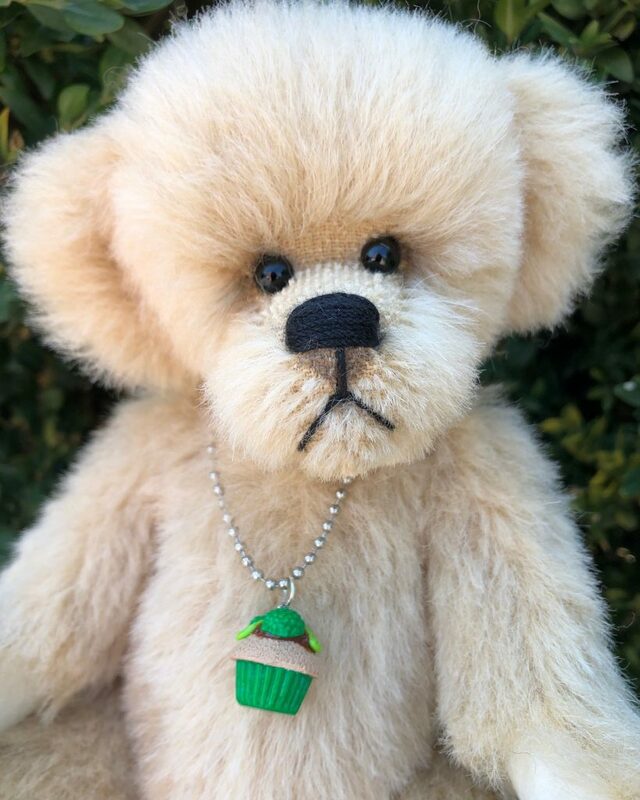 He wears a gorgeous cactus cupcake charm necklace. Charm is from Tays Charm Creations on Etsy. 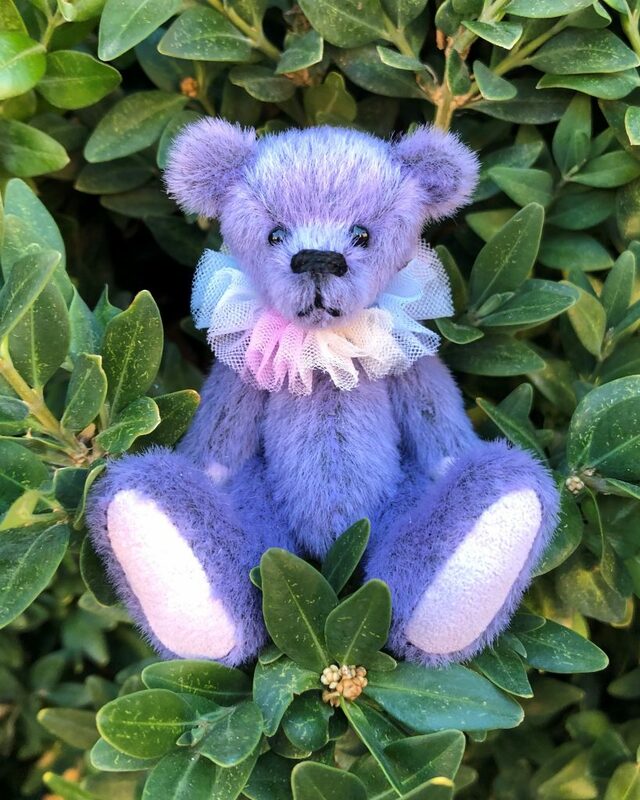 Lola is handsewn from gorgeous purple smokey Sassy mini-bear fur, with ultrasuede paws. She wears a rainbow tulle ruff. 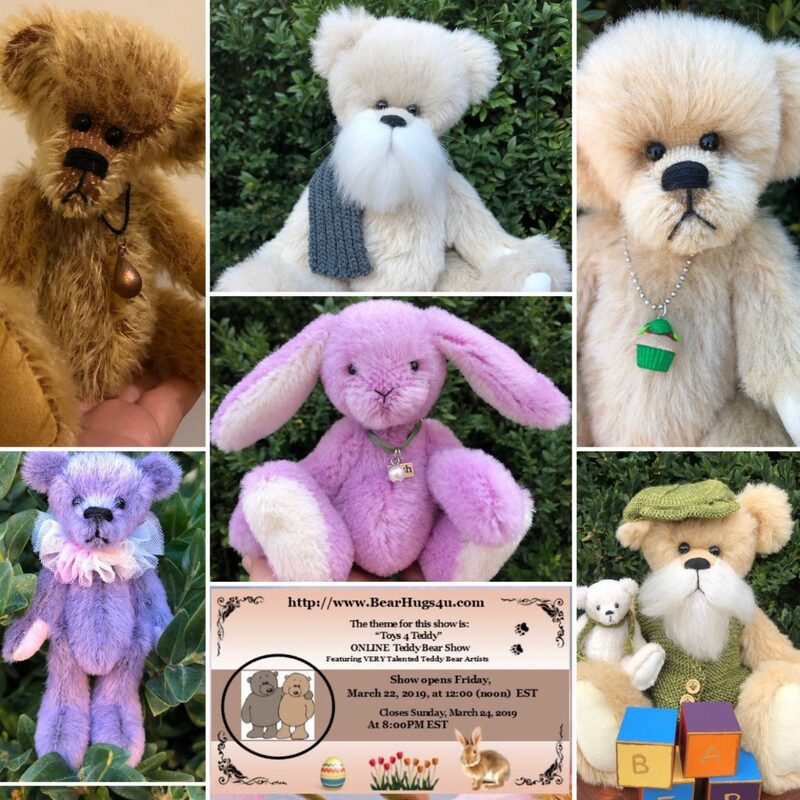 Rosie is the fourth Bearly Bears bunny. She is handsewn from soft burgundy-pink alpaca fur, with white alpaca inner ears and foot pads. She wears a green silk ribbon necklace with faux pearl and sterling silver charm engraved with ‘WISH’. Clyde is handsewn from beige alpaca fur with cream ultrasuede paws. He is wearing a 100% wool rib knit scarf. 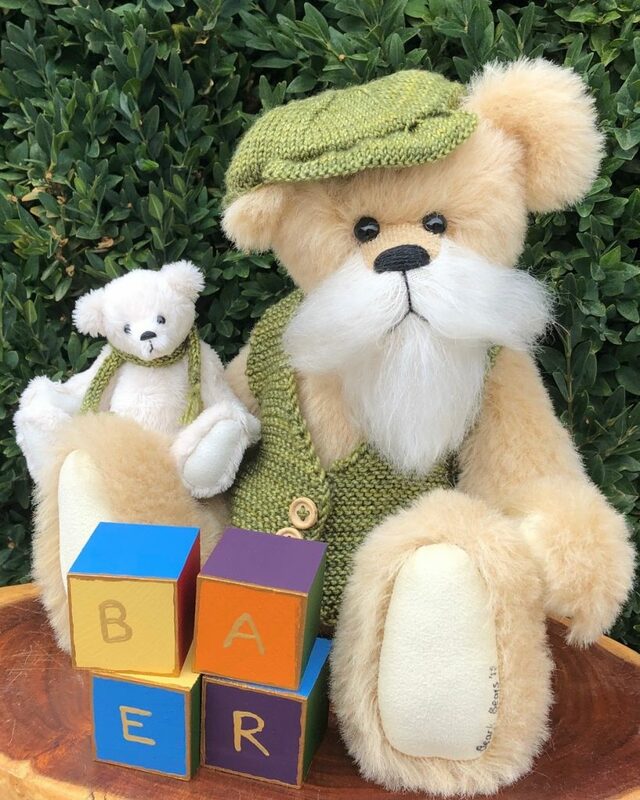 Albie has been handsewn from brown-backed golden sparse German mohair. 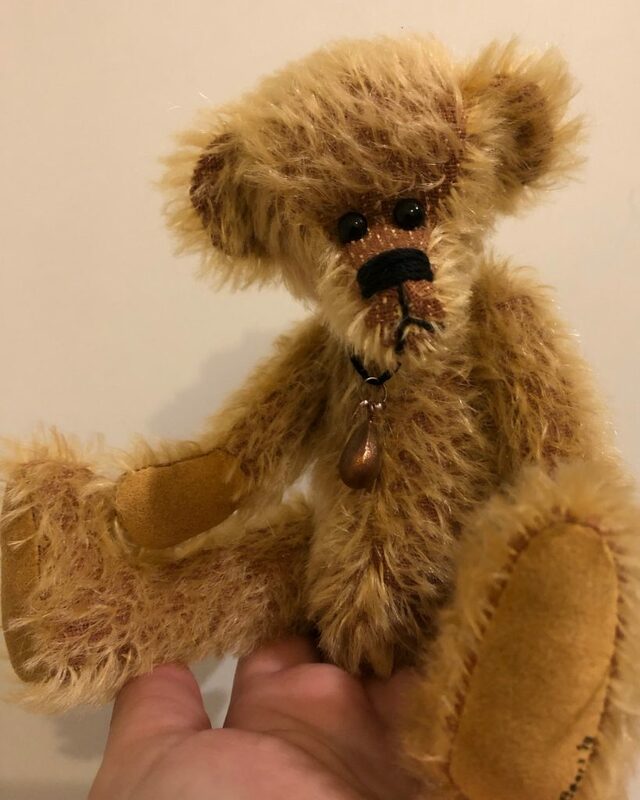 He has bronze-coloured ultrasuede paws and wears a bronze-coloured pendant on plaited cord. 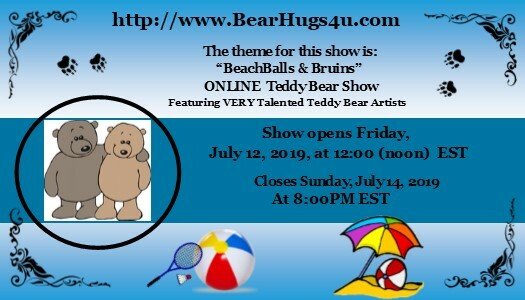 The next BearHugs4U show will be in July.